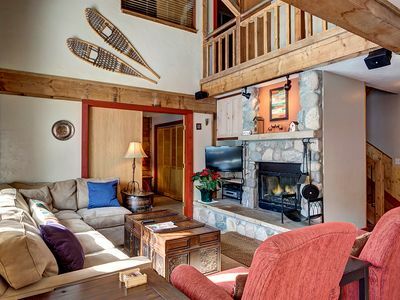 Enjoy your Keystone Vacation in luxury and comfort in this amazing property! River Run Townhomes were recently constructed in 2017 offering modern state of the art, furnishing, appliances, and decor. 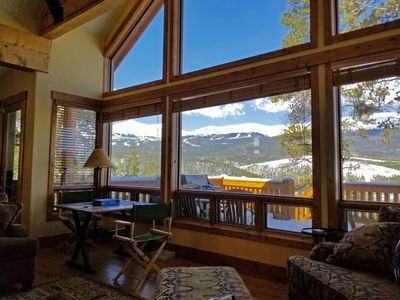 Enjoy beautiful views of the Rocky Mountains from the upper-level porch or unwind and cozy up next to the fireplace while watching a movie on the large flat-screen T.V. 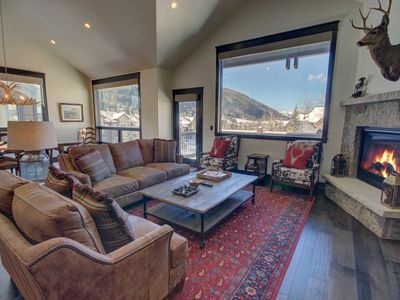 Located a 5-minute walk to the gondola in River Run Village, you can enjoy easy access to the slopes, shops, and restaurants. 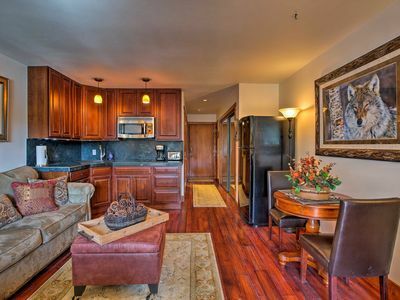 Entryway: Welcome to the gorgeous River Run Townhomes. 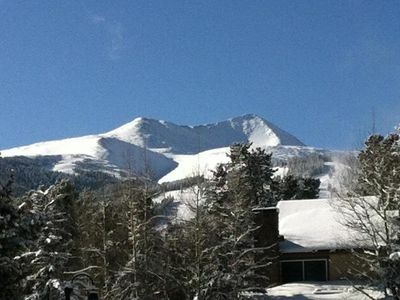 Kick off your shoes, hang up your coat, and get ready for an awesome vacation in Keystone. Straight ahead is the downstairs den and two out of three bedrooms. 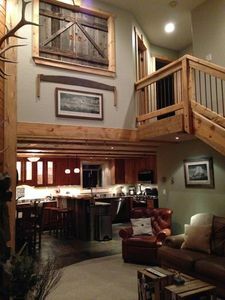 Up the stairs, you will find the kitchen, dining area, living room, and upstairs Master Bedroom. 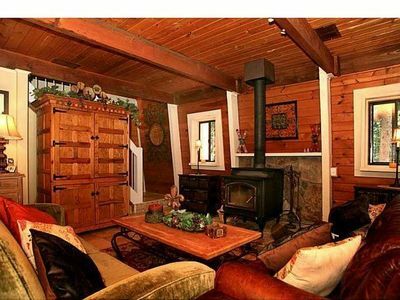 Living Room: A large couch, loveseat, and two cowhide covered chairs provide lots of seating space for everyone to relax while watching a movie on the HD T.V. 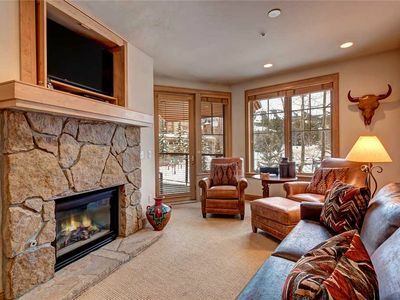 The large gas fireplace will provide lots of heat in the living room on those snowy winter nights. 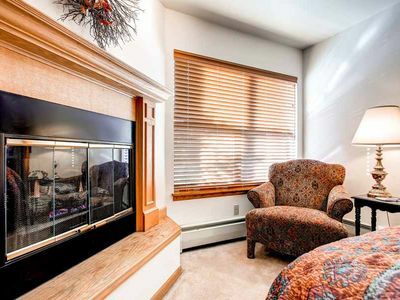 Lift the automated window blinds to take in beautiful views from the living room. 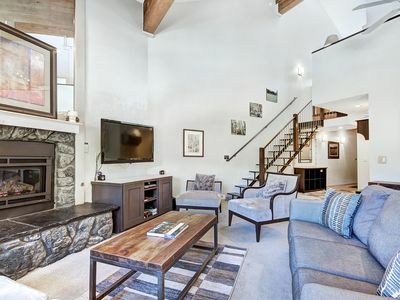 The open layout of this level provides a spacious living room, complete with elegant furnishings and decor. Kitchen: This fully equipped kitchen offers lots of space to prepare delicious home cooked meals to enjoy after a long day on the mountain. 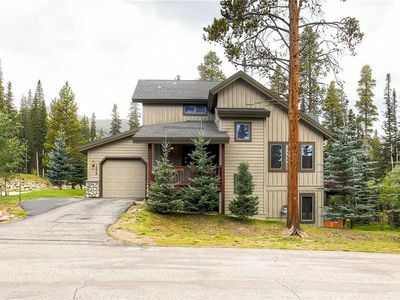 Stainless steel appliances and white granite countertops add to the beauty and grandeur of this property. Plenty of space in the pantry and fridge allows you to keep the snacks stocked up! Dining Area: Enjoy delicious meals in the elegant dining area with seating for 8 under a unique antler chandelier. Additional seating for 4 is provided on the bar stools near the island in the kitchen. Lift the automated window blinds to take in some gorgeous views while dining. Master Bedroom: The upstairs master bedroom sleeps two in the king bed, complete with a full ensuite bathroom. 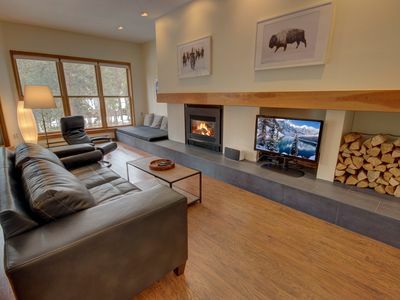 Relax with a movie on the mounted T.V. and hang out on the private second floor balcony that offers amazing views. Hardwood floors and a rustic wooden bedroom complete the room. 2nd Bedroom: The first downstairs bedroom provides sleeping for two in the queen bed, a mounted T.V and a shared bathroom with an entrance from the bedroom. The sliding glass doors lead to the downstairs patio featuring a hot tub. Quaint winter furnishings make this bedroom excellent for the kiddos. 3rd Bedroom: The second downstairs bedroom also provides sleeping for two in the queen bed. Great natural light enters this room when the binds are up. 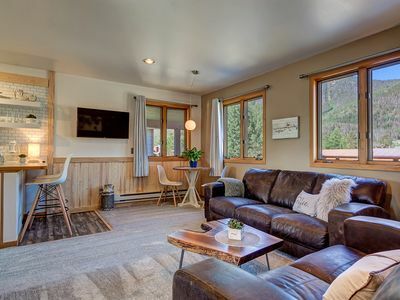 Easy access to the shared bathroom with an entrance from the bedroom and a mounted T.V so you can unwind after a long day of mountain adventures. 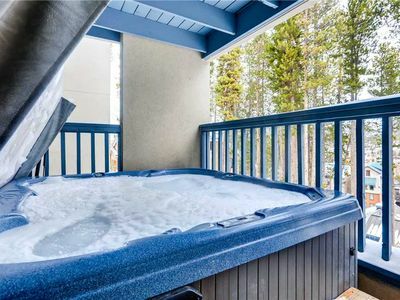 Patio: The private hot tub can be found beneath the balcony on the first level. 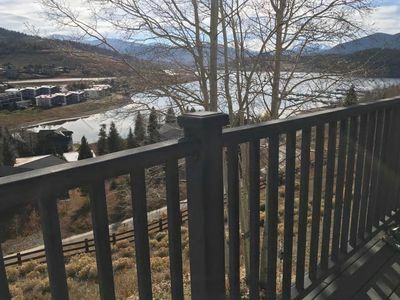 The private grill can be found on the second level balcony along with outdoor seating and beautiful views of the Rocky Mountains! 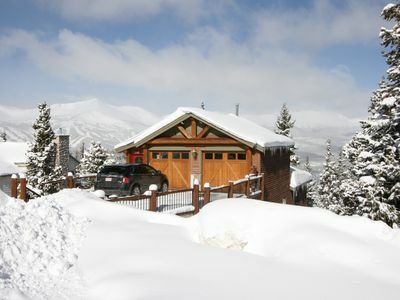 The property includes a private 2 car heated garage with ample space to store all of your gear. 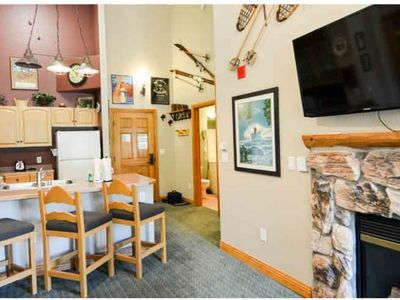 Park in the warmth and leave your boots and equipment organized in the garage for quick easy transitions from the townhome to the slopes! You can also park 2 additional vehicles in the driveway. 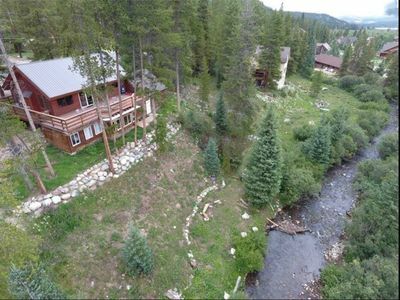 5-Star Cozy Creekside Cabin -- Private Hot Tub, Fire Pit -- 3 mi to ski Breck! 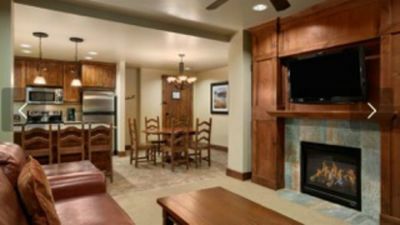 Downtown Breckenridge hotel room with ski-in access via 4 o'clock run! 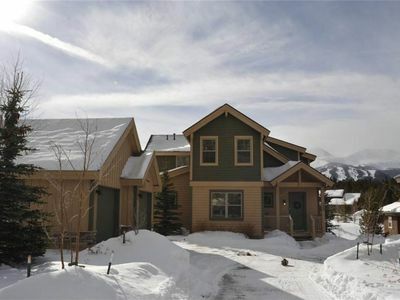 Ski-in to your front door. Walk one block to downtown. 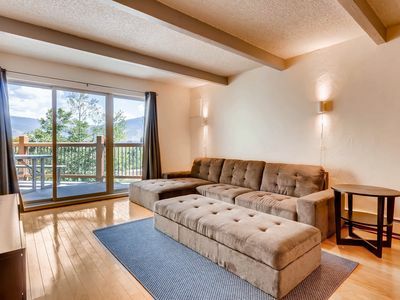 Frisco Studio w/Mountain Views - Walk to Main St.